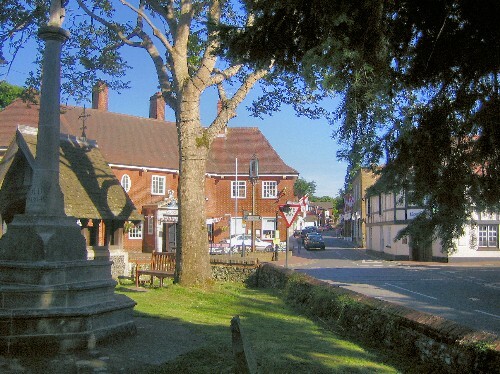 The Neighbourhood Development Plan (NDP) is Bookham's chance to create planning policy that is specific to Bookham. It will help shape the way Bookham develops up until 2026. The NDP consists of a set of planning policies that developers will have to conform to when considering any new development in Bookham. If you would like to have an opportunity to have some input into what those policies say, now is your chance. A Community Event to exhibit the draft policies is being held at the Barn Hall, Church Road, Bookham on Saturday 9th May from 9.30am to 12.30pm. This will be your chance to ask questions about the NDP and discuss the draft policies with members of the Bookham Vanguard Neighbourhood Forum who have produced them. Your feedback and opinions will help shape the final version of the Plan. The policies aim to retain the attractive and open character of Bookham, while increasing the number of homes for downsizers and young families - especially in the central area of Bookham. There is a fine balance to be made between providing these types of new homes and preventing overcrowding and over-dense development. We hope that you will find the policies achieve this balance. More development in Bookham means more pressure on local infrastructure, the NDP includes policies that will help to increase and improve local services and facilities wherever possible. Have your say on whether the policies are right for Bookham, for you and your family - come along to the Barn Hall, Church Road, Bookham any time from 9.30am to 12.30pm on Saturday 9th May 2015. All welcome. Refreshments will be available.